Head to head comparison between Xbox One X and Xbox One versions of Forza Motorsport 7. Forza Motorsport 7 was a visual showcase on the Xbox One and it isn’t actually a big surprise that Turn 10 pushes the game’s graphical barriers even further on the Xbox One X. To begin with, the game runs at a native 4K and 60fps on the Xbox One X and uses a higher quality EQAA solution to smoothen out the edges. This is a massive boost compared to the already superb 1080p/60fps presentation on the Xbox One. Other than the rise in pixel counts, Microsoft’s latest machine features higher resolution textures, improved draw distances, shadow quality, texture filtering and anisotropic filtering. The Xbox One X also features noticebale refinements to overall lighting and reflections giving it a much more richer look compared to its predecessor. As we noted in our original Xbox One and PC versions analysis, as time goes by developers get well acquainted with the hardware, allowing them to push boundaries with every new game they develop. 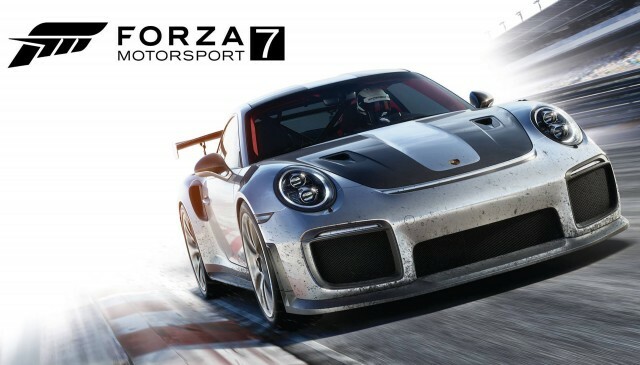 In case of Forza Motorsport 7 and Xbox One X, we are already seeing some great results, specially given how the platform is still in infancy. 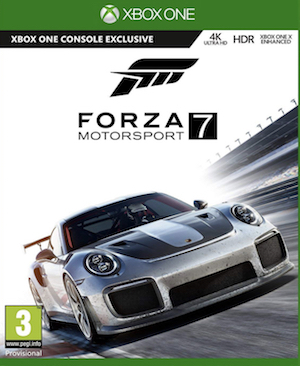 The advent of the Xbox One X is a stepping stone towards the 4K era of video games and Forza Motosport 7 is leading this race in pole position.